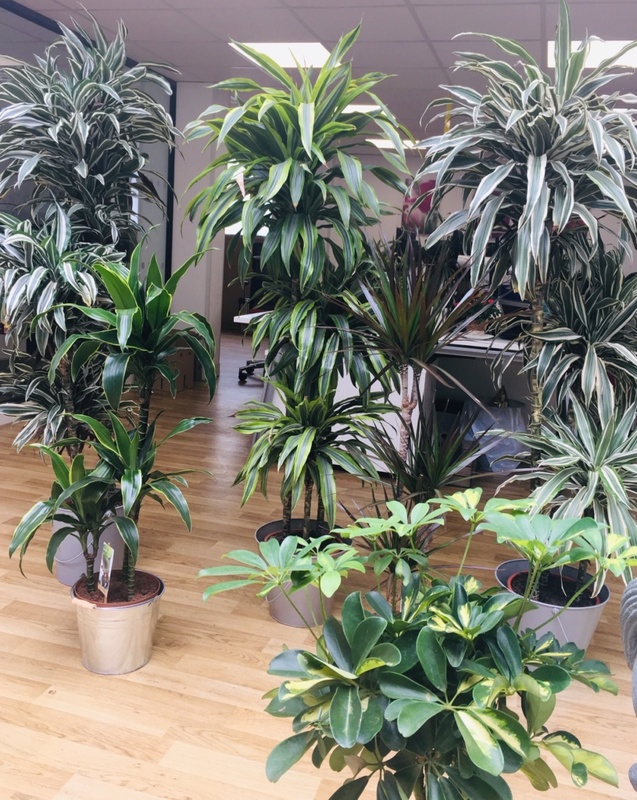 We absolutely LOVE having greenery around us in Team TLB, whether it is creating jungles in our homes and in our offices. We are always looking at new samples or updating our current product lines so there is greenery in every corner in the TLB HQ. There are so many reasons to have plants in your life, from aesthetics to health benefits. 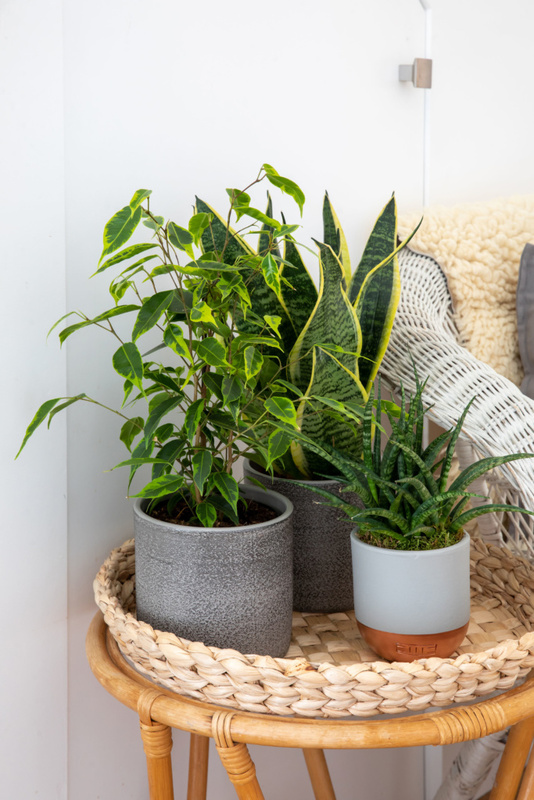 Simply introducing four plants or more to a room can improve your mood, health and well-being AND purify the air around you too. We wrote a little blog post recently about how you can bring the outside into your home, so we thought it was about time we gave you all some fabulous tips on how you can green up your workspace too. When it comes to making choices as to what plants you should go for, the context is incredibly important. This is because plants can help make a statement about who you are and what you do. Furthermore, it is important they fit into your office life, and not the other way round! So before getting started, consider a number of questions. What plant would work for your office? We suggest you think about the space first. What size of space is it? What is the space used for? How much natural light does it get? What temperature is it? All these things should be considered to help create the perfect plant selection for your office and we are here to show you how in our blog. As growers of all things green, we know all there is to know about indoor plants. We have grouped our plants into four easy to navigate categories to help you create an urban green space you will love. Keep reading to find out more about; low maintenance plants, making a statement, keeping the workspace healthy and plants for small spaces. Having plants that are low maintenance is probably one of the biggest must-haves for so many people! This is particularly important for some businesses, as you don’t want to worry about a daily watering schedule on top of the rest of your to-do list. We have suggested some easy to look after little and big green beauties that don’t need special attention from staff or colleagues and will continue to look fabulous for many weeks and months. We guarantee that with very little care, they will easily wow your clients and customers with their green goddess good looks. So which plants are best for low maintenance? Lucky for you, we have plenty of options that are easy to look after so here are our top three suggestions. 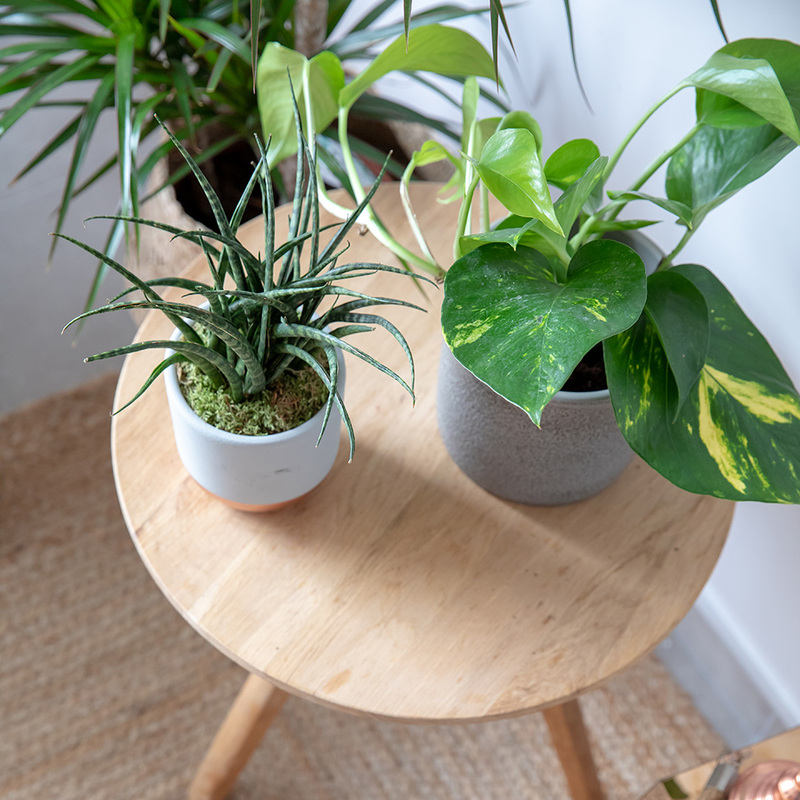 If you feel encouraged that you can now get some plants without worrying about their limited lifespan, head over to our ‘Are you a plant lover or a plant killer’ post to get some more ideas. These are most definitely the survivors of the plant world. Almost indestructible. they can live in both a well-lit or a darker space. Moreover, they will even cope with temperature differences both warm or cool and draughty; they just don’t like to be overwatered. 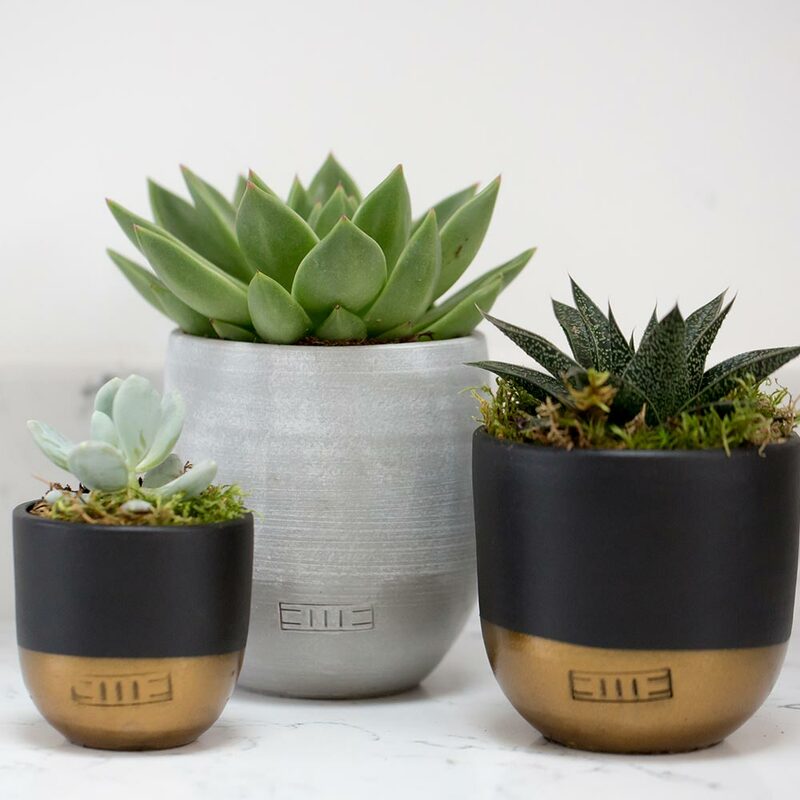 Because they’re so awesome, we stock three of these plant beauties at The Little Botanical and quite simply we love them all. First of all we have a spiky version, which comes in both medium & large sizes. The fabulous on trend Grey ceramic pots are included too! Secondly there is the super popular Snakey variety, one of our best sellers and you will see why when you see the leaf patterns. Just gorgeous! Last but not least is our cute little Fernwood Punk. We like to call him Spikey’s Little Sister. Sansevieria can cope with being pretty much ignored. They infrequently need a little water, just once a month, and possibly a leaf dust every few months to ensure they look their best. 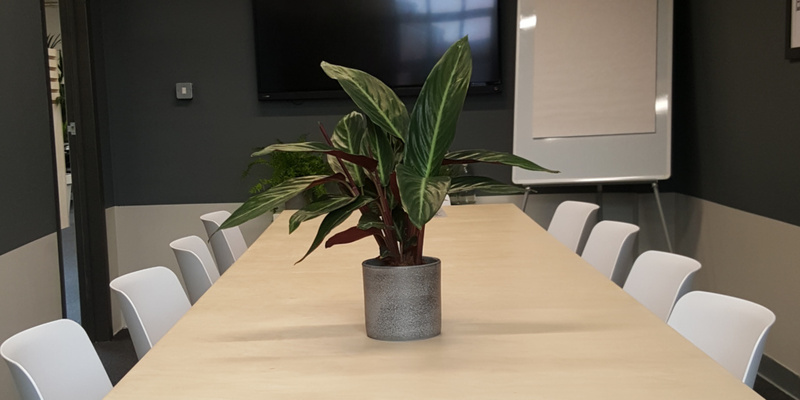 Our favourite co-working space in Chichester, Rume2, has recently added plants to their decor. They have lots of Sansevieria dotted around their trendy offices. 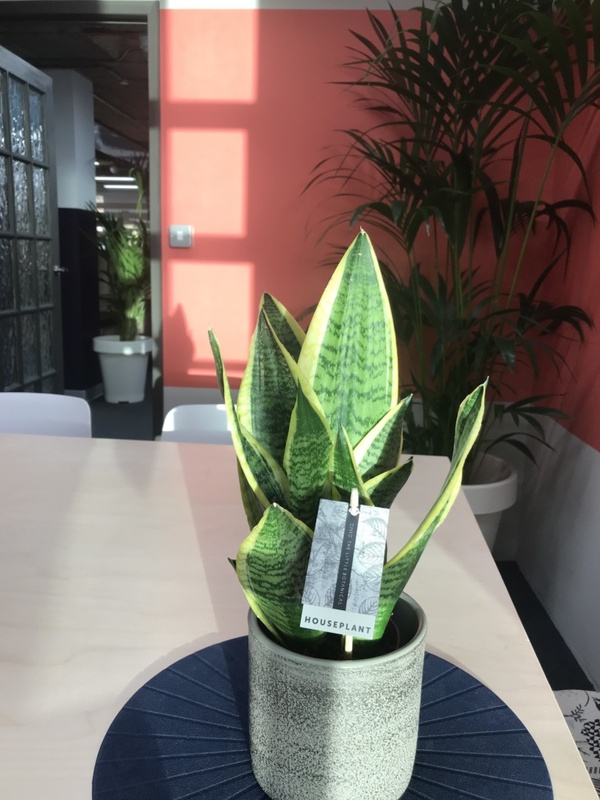 Our Aloe Vera plants are planted in stylish concrete ceramic pots and look perfect grouped on a reception desk or in the middle of a meeting table. They are easy to look after and will tolerate most office environments, happily grow in low light levels and don’t mind being near a draught. These green fleshy plants need watering infrequently and they still look beautiful. Just let this plant dry out between watering. And when you do water them, give them a good drink but not so much that they sit in water. Both stylish and easy to care for, what is not to like? This little spiky flower-like succulent is perfect if you want an easygoing plant that isn’t too big. This guy is the absolutely perfect desk buddy! He likes to be in a light spot and will tolerate a change in temperature but doesn’t like to be very cold. Succulents are known for not needing much water, and the Miranda is foolproof. Simply water under the leaves directly into the soil no more than once a month. It really is that easy! Redecorating or buying new furnishings can be expensive and isn’t always a choice for many offices. However, a quick way to change the look and feel of where you work and make a bold statement is through introducing plants. They add colour, structure and can make a bland room into an incredible space. Bring some colour into your office, create a green calming corner or place plants by the entrance to enhance the space. 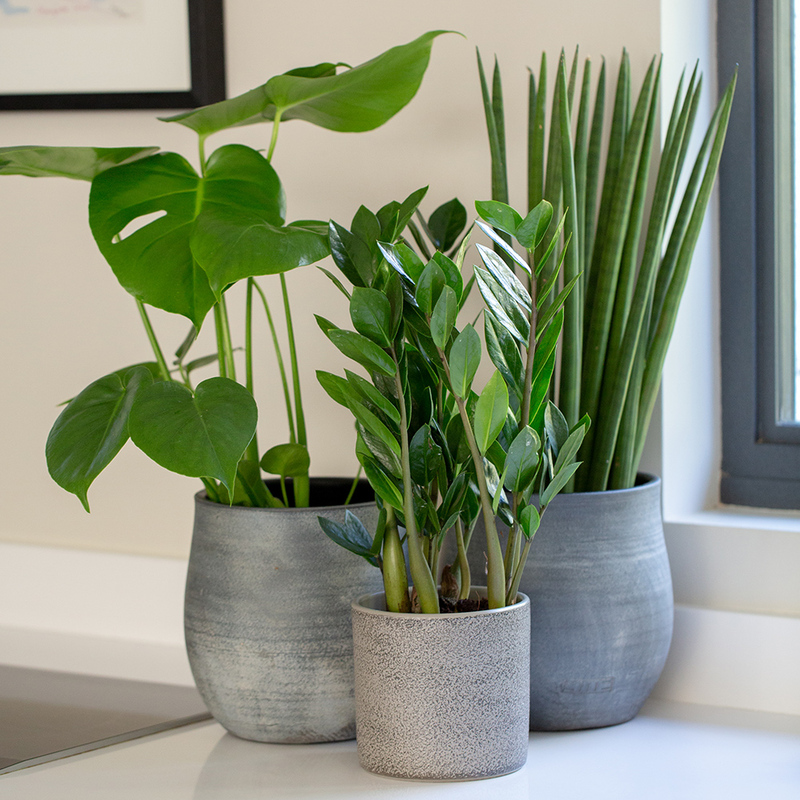 They’re also great if you have flexible workers or lots of hot-desking, as adding a plant gang is a great way to make an office feel more welcoming and personal for people who may be coming and going a lot. You could add groups of mini succulents on meeting room tables, or larger pots in between spaces to help create clear zones. Plants in windows could also add vibrancy. Just make sure to pick those that love sunshine and won’t dry out too quickly! Succulents are the best for this. These are perfect as a group or placed individually on tables. You don’t need a lot of space to create a stylish statement. 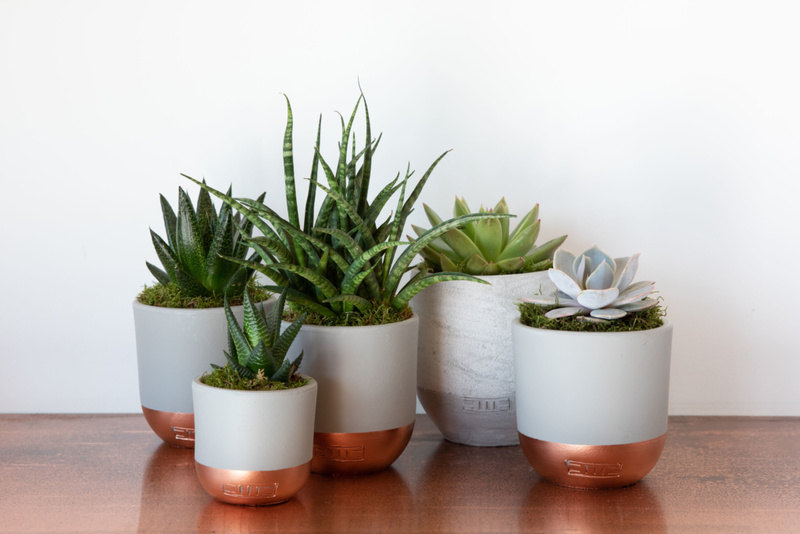 These succulents are planted with moss in our grey and copper dipped pots. They are bang on-trend and will fit in with all colour schemes. Tolerant of both low and high light levels, just make sure they are not getting too much direct sunlight in case their tips get scorched. It’s not exactly hard to see why these make great statement plants. They would look beautiful in a boardroom with their classic look and ideal if you need to impress.They have the wow-factor and look beautiful on a reception desk. The must-have plant on everyone’s wish list. These green beauties with large, distinctive leaves are the sought-after plant of the moment. Show you’re keeping up with trends by prominently displaying these. Place on a table in the corner of your space to create an urban green space. They like a well-lit spot and should be well watered at least once a fortnight. Just watch them grow new leaves before your eyes! Plants are awesome, they look good and they can purify the air around you. While plants can absorb carbon dioxide and release oxygen, they can also actually remove toxic chemicals from the air. This includes nasties like benzene and formaldehyde. Pretty incredible, right?! Studies have shown that plants can help us to feel less tired, have fewer allergy symptoms and recover faster from colds. This is great news all round for any office environment. Creating a space that can improve well-being and productivity deserves a high five, don’t you agree? Improve the air-quality in your workspace by adding the green beauties we suggest below. Adding four or more plants to a space can improve the air up to 60%. Even better, lots of these are beautiful plants that you would want to have anyway! Our Scindapsus, or more commonly known as Devil’s Ivy, will grow in any direction and they are also easy to maintain. 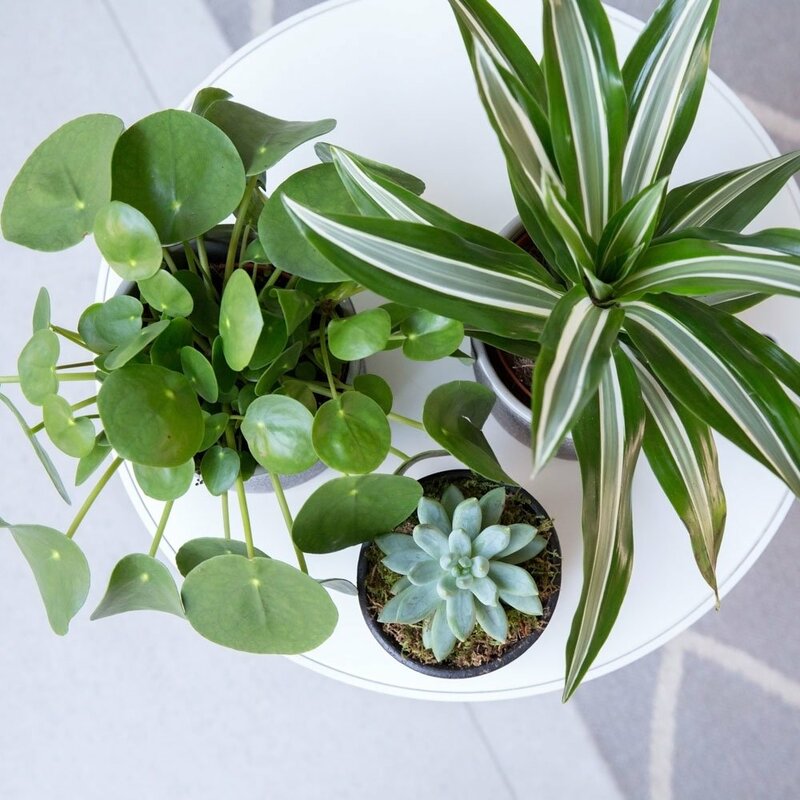 Known to work well in both a darker corner or lighter spot, these plants are air-purifying and look great. The Scindapsus is a fantastic climbing or trailing plant. Our large Scindapsus is planted with a moss pole to allow it to climb as it grows. Our smaller Scindapsus/Devil’s Ivy is the perfect size for trailing so hang it or place it on a higher shelf. Otherwise known as the the weeping fig, this is another air purifier that can help filter out pollutants, particularly those that are in carpets or furniture. Planted in our grey ceramics, the Ficus Benjamina looks good on a reception desk grouped with a few plant friends. It just doesn’t like to be in a spot that’s too draughty. These are super long lasting and look great on a table top. Air-purifying and perfect grouped in a little plant gang. Please contact us if you would like to order larger palms like the big brother, the large Kenthia palm. This larger sized plant will help to create the jungle look in your office. Watch this space – we are adding them to our jungle offering! We don’t all work in spacious large offices, but this doesn’t mean you should avoid plants! There are plenty of ways to incorporate plants without feeling like it’s a squeeze. You can get creative with how you display them. Think about placing them on shelves or in the centre of meeting tables. Consider other ways of blending them into your workplace. 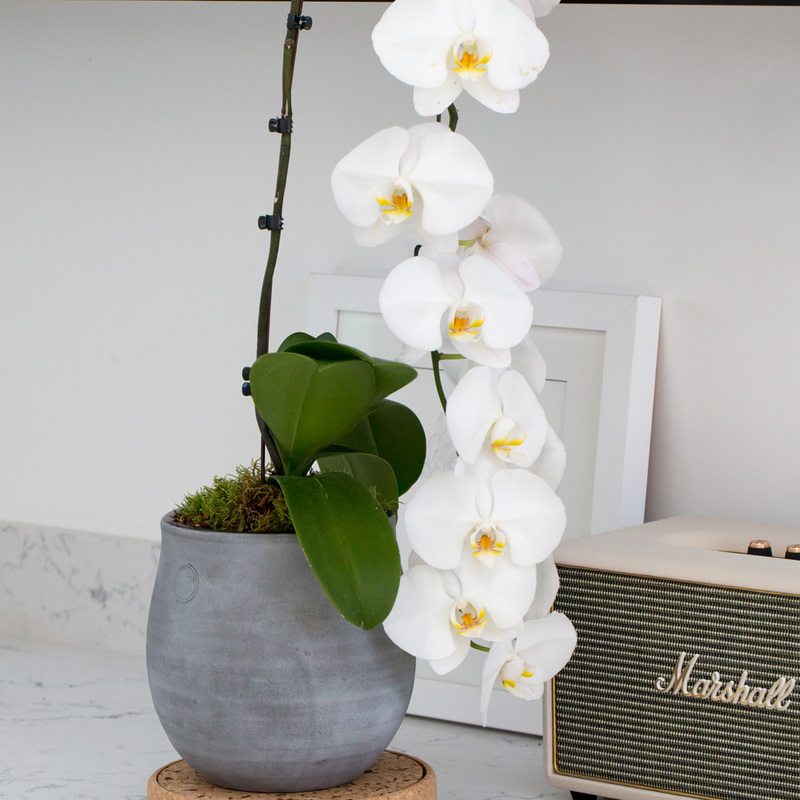 This could be done easily by putting plants in the oh so cool on-trend macramé hangers. Adding plants in a communal space can transform a small space and really brighten it up. At The Little Botanical we have plants of all sizes, so whether you want to keep them mini or go large… get in touch. If you want to know more or are looking for advice, we will help you find plants to suit your space. This succulent is fast becoming one of our most popular plants. With its pink and grey tones, the subtle colour looks gorgeous paired with our grey and copper dipped ceramics. Guaranteed to get noticed as it’s that little bit different. Also known as a Chinese money plant, this has coin-shaped leaves and is a fashionable guy! It grows fast and has a plethora of gorgeous green leaves. It’s a very much talked about beauty. Water once a week and ensure the soil dries out before watering again. Your very own bonsai. It’s a little tree giving you a garden vibe but on a miniature scale. They last for months and months and only need a little water! Hopefully we have opened your eyes to the variety of plants you could select for your workspace. Ultimately, whatever your style, green-fingered ability or workplace layout is, plants will bring numerous benefits. Let us know how you have used plants in your office. We love to see your greenery. Feel free to share some photos and tag us on Instagram! And if you were wondering how green our office is at TLB HQ.. yes it’s rather jungle-like… here is a sneak peek!